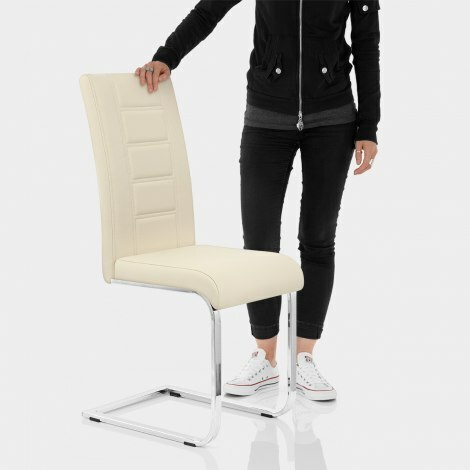 The fashionable Anima Dining Chair Cream adds a designer touch to any home, working superbly in any kitchen-diner or dedicated dining room. A fusion of modern class and comfort, the Anima Dining Chair is a high quality design for your interior. Keeping you comfortable after even extended periods of use is the high density padding, clad entirely by the cream faux leather upholstery. 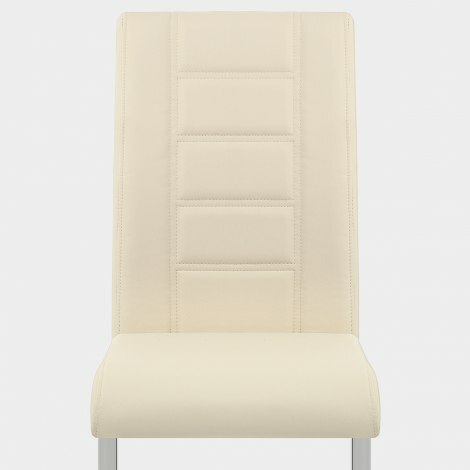 Comfort and support comes courtesy of the feature backrest; adorned by a series of eye-catching raised rectangles that enhance the upmarket feel. The cream contrasts beautifully with the mirror finish chrome plating of the framework below, which keeps the Anima stable in any location thanks to the wide base which has floor guards beneath. "Beautiful chairs and so comfortable"
Absolutely brilliant thank you so much. Very easy to assemble quick delivery. Thanks again. Perfect for my kitchen, good price !!! Excellent service next day delivery. 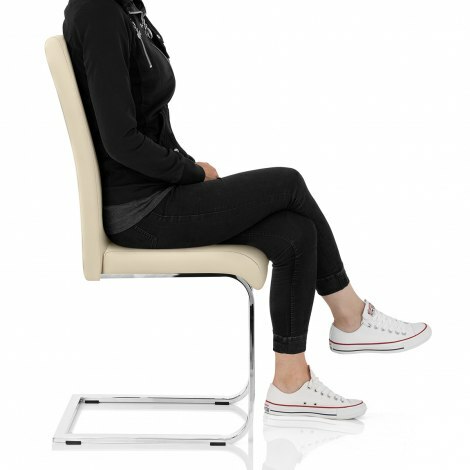 Comfortable and sturdy - not to heavy, not that light and good design. Excellent chairs. Sturdy as well as pleasing to the eye. As a resident of NI we are often punished when it comes to shipping costs, but I was pleasantly surprised at how reasonable the shipping was, and, indeed, the speed in which the delivery was fulfilled. Excellent. I have no hesitation in recommending this company. Value for money and looks good, will recommend with small budget.